16.06.2016 The ILO Committee on Application of Standards at the 2016 International Labour Conference in Geneva heard testimonies from workers around the world facing increased repression and difficulties in exercising their rights enshrined in ILO Conventions. ILO’s Committee on Application of Standards (the Standards Committee or CAS) dealt in June with a number of complaints on violations of workers’ rights, with special focus on countries such as Bangladesh, Indonesia, Cambodia and Mexico. Bangladeshi union representatives told the Committee that while there was progress in improving safety in the major garment industry, freedom of association remained a problem. In the immediate aftermath of the Rana Plaza disaster in 2013, many new unions in the Bangladeshi ready-made garment sector were registered. In the last two years, union registration has become increasingly difficult with about 70 per cent of new registrations being rejected, in particularly those filed by independent unions. IndustriALL regional secretary Apoorva Kaiwar told the Standards Committee that aggressive union busting by management has led to a reduced number of active unions, leaving workers with little or no protection against employers. In addition, trade unions are completely banned in Bangladesh’s export processing zones. 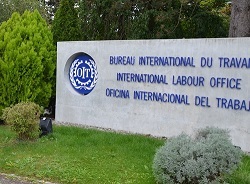 As a result of the increasing anti-union climate in the country and the feeble efforts taken by the government to ensure workers’ rights under ILO Convention 87 on freedom of association and the right to organize, the ILO Standards Committee put the country on its “black-list”, also known as “special paragraph”. Worker representatives from Indonesia testified about violent attacks on workers by police and armed thugs. Prihanani Boenadi, from IndustriALL affiliate FSPMI, called on the government to stop violations against workers and that state security is not used to suppress the right to freedom of association, as happened in November 2015 when 25 demonstrators were arrested in Jakarta for protesting against being shut out of the wage-setting process. The Standards Committee “expressed deep concern regarding the numerous allegations” and urged the Indonesian government to ensure that workers are able to engage freely and that those responsible for the violence are charged. Ath Thorn from Cambodian IndustriALL affiliate CCAWDU told of violence against trade union leaders, illegal terminations of union leaders, political interference, short term contracts and discrimination against pregnant workers. The Committee decided to send and ILO Direct Contacts mission to Cambodia, Indonesia, Philippines, Swaziland, Kazakhstan and Mauritania, to assess progress related to conclusions from the CAS. Mexican mining union Los Mineros’ president and IndustriALL Executive Committee member Napoleón Gómez addressed the Standards Committee on the widespread use of protection contracts made between yellow unions and companies without workers’ consent, and the intimidation and threats to trade unions. Gómez called for an immediate finalization of a labour law reform, based on proposals made in April 2016. The Mexican government had brought a delegation of 70 representatives from government, business and trade unions to the ILC. However, only one single trade union representative in the delegation was from a democratic union. The Standards Committee urged the government to fulfill legal obligations and ensure that “trade unions are able to exercise their right to freedom of association in practice”.